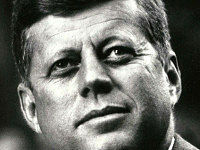 I was nowhere when President Kennedy was shot. “Nowhere” being a relative term. My mother was in bed and seven months’ pregnant with me when she first heard about the assassination. She was reading “Time” magazine — it came in the mail that morning — and was staying off her feet on doctor’s orders when her best friend called. The day was crisp and pleasant beneath a cloudless sky. Sunlight streamed past the open curtains to warm the room. “Are you all right?” the friend asked. No “hello” first. At that, my mother hauled herself out of bed and waddled to the living room, turned on Walter Cronkite’s report and sat stunned for hours, like the rest of the nation, watching the tragedy unfold. Right then, as with many Americans, her day went dark despite the sun. At some point, a nurse from her doctor’s office called to ask the same question her friend had. Half a century ago, medicine was about care, not insurance. “Well, the doctor will be in tomorrow, regardless,” the nurse said. My father, meanwhile, was at work and having lunch when he heard. He was sitting on a bench outside; the weather was too nice to ignore. He had just opened his lunchbox and started removing the wax paper around his sandwich. He carried a little portable radio in the lunchbox, too; it always came out before the sandwich did. He was about to take the first bite when the announcement was made. He sat and listened maybe five minutes, then re-wrapped the sandwich, closed the lunchbox and returned home. He did not stop inside to tell his boss. The radio remained on the whole time. My mother repeated this story to me every Nov. 22, once I was old enough to understand it. She did that because she measured her life against world events — mention most any of them that transpired within the span of her life and she knew what she was doing at that moment. This year is the first that I recall her story of Nov. 22 without prompting. She died in August. My father, who has trouble with recollection due to failing health, does not remember that day. He sometimes does not even remember my name. So, the story belongs to me now.